Size of this preview: 463 × 600 pixels. Other resolutions: 185 × 240 pixels | 600 × 777 pixels. 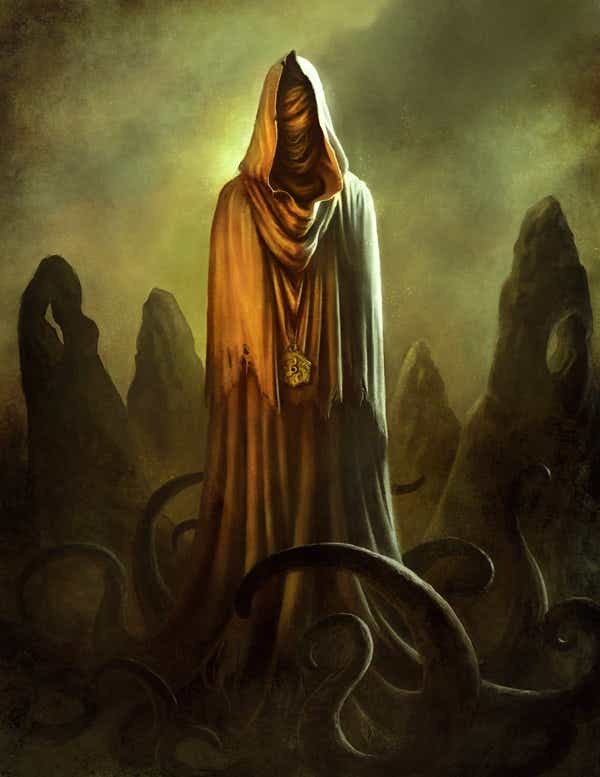 King in Yellow by Borja Pintado - This psychedelic art serves as an accurate portrayal of a single frame of the commonly experienced effect known as unspeakable horrors. This page was last modified on 5 June 2015, at 14:59.